We work hard and play hard in Miami, and Labor Day gives us an extra day of play. Who doesn't love a three-day weekend followed by a four-day work week? We definitely do, so we've come up with a list of the best things to do on Labor Day weekend in Miami. Nikki Beach is known for its lavish brunches, internationally renowned DJs, and heart-thumping Sunday parties. But what you probably didn't realize is that every August they ring in the official end of summer with summer camp. While it doesn't feature the makeshift tents and huddling around bonfires you may have experienced as a kid, there's some familiarity here. On Sunday, September 2, there will be s'mores added to their famed Sunday brunch, and they're also hosting a potato sack race and tug-of-war contest. That will feel familiar until you take a sip of their special bug juice which includes Prosecco and vodka! If you're considering a staycation, there are few options better than the Shore Club. Whether you're on the massage table or the pool deck, it's a dip into veritable luxury. In addition to the usual perks, the Shore Club is also hosting a Sunday afternoon bash for Labor Day weekend. It's an all-white party, so dress accordingly! Kendrick Lamar is regarded by many as the best rapper of his generation, but no matter where you stand in this debate, seeing one of today's modern icons is always a treat. Kendrick Lamar rolls into Miami on September 2 as part of his DAMN tour along with D.R.A.M. and YG. As one of Miami's best Latin bars, there's rarely a bad time to swing by the old Ball & Chain. But there's added reason to swing by this Calle Ocho dance hall and watering hole on Labor Day. Ball & Chain hosts its annual Ball & Chain Music Festival on Labor Day weekend, so get yourself ready to groove to your favorite tunes as you salsa, merengue, and bachata the night away. In addition to the classics, Ball & Chain will also invite local DJs spinning hip hop and Afrofunk, so there's something for everyone. The Miami Marine Stadium is one of the city's most iconic venues and was named to the National Register of Historic Places earlier this year. Built in the 1960s, the stadium drew its name from the power boat races once regularly hosted there. But the stadium has grown a bit more versatie over the years and hosts events like the Tequila Bay Country Music Festival on September 3. There are few better ways we can think of celebrating Labor Day than jamming out to Kip Moore's sweet tunes. Labor Day may mark the unofficial end of summer, but the boys of summer are still going strong. The Marlins take on the Nationals Labor Day weekend, and there are few more fun and affordable experiences than hitting up a Marlin's game. The stadium happens to be right around the corner from Calle Ocho's bars, so you could swing by Ball & Chain after the final out. There's plenty of fun for the family on Labor Day weekend, too. Jungle Island is always the spot for families no matter the weekend, but they're upping the ante for Labor Day. The park is opening its beach area and will be filled with water sports for the kids to play while you lounge. There will also be fresh barbecue served, and a pop-up beer garden to wash it all down, too. South Beach's best speakeasy certainly isn't going to be left out of the Labor Day festivities. Play some pool, catch a game at the bar, or dance the night away until doors close at 6 a.m. The choice is yours! 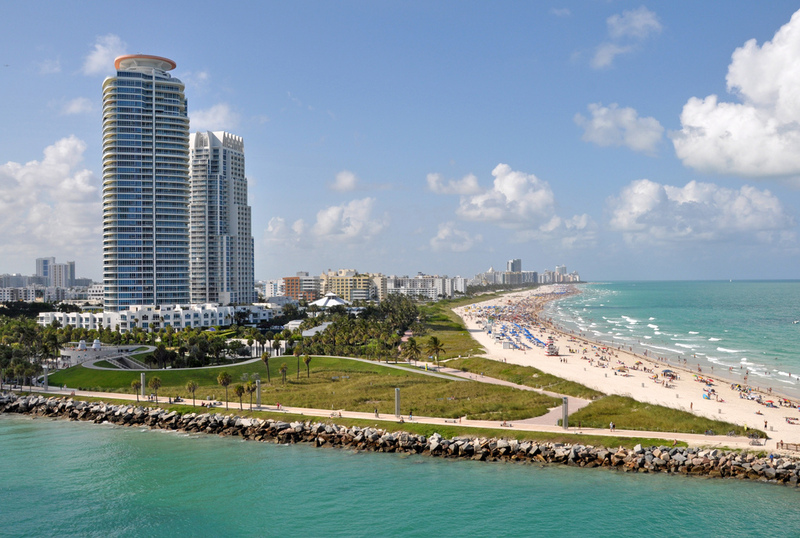 Make the most of your long weekend and check out some of these things to do on Labor Day weekend in Miami. Find more things to do in Miami year-round by registering on 305area, your free guide to everything in the Magic City.